Hi everyone, I have BIG news to share with you today. You may already have heard the news as it has caused quite the stir. April is traditionally the month where we find out about all things which are retiring. There are the things we know about such as the 2017-2019 In Colours. Then there are the usual stamps and dies which we know will be impacted and we speculate on until we get the Retirement List (coming 15 April). 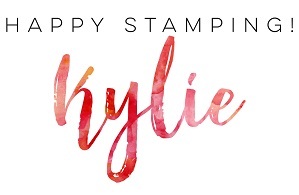 Every now and again there is BIG news and today’s BIG news is that Stampin’ Up! is retiring its Stampin’ Trimmer and the Big Shot! Isn’t that HUGE?! It’s exciting to think about what might be coming in the future but for now, if you need anything from the existing line, you might want to act fast. I’m going to include information directly from Stampin’ Up! so you are fully aware of these changes and how they might impact you. It’s a big read but I think it is important. 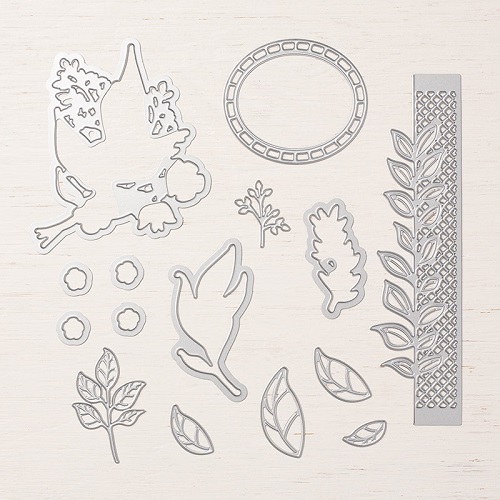 We have decided to retire the Stampin’ Trimmer as of 3 June 2019, including all accessories—replacement cutting blades, scoring blades and cutting mats. We’ve experienced challenges with our supplier and are taking the opportunity to research and explore a replacement option for this product, which will not be the same as the current Stampin’ Trimmer. There will be a gap in time between when the current Stampin’ Trimmer retires and when a new product becomes available, but we do not currently have an estimated timeframe. Once we feel confident in the new offering, we will communicate more details with you about the new product. While the replacement cutting blades will also retire with the trimmer and will not be featured in the annual catalogue, we have ordered what would normally be six months of inventory based on recent historical patterns to help demonstrators and customers during this transition away from our current trimmer. But please know that this news could cause faster inventory depletion. When the retiring list goes live on 15 April, the order limit for the blades will be set to six (and the limit will remain at six until they’re no longer available). And from now until September, we will receive intermittent shipments from the supplier. Throughout these months, we anticipate times when the blades will not be orderable (and not offered as a backorder). During those downtimes, you and your customers will have the option to enter an email address to receive notification when the blades are available again. We are making some big changes to our die-cutting and embossing product line that will give us a better opportunity to support the long-term vision we have for the line. While we’ve worked with our current supplier for many years, we’ve had the opportunity to reassess this relationship. After extensive research, demonstrator feedback, and evaluation we’ve decided to move in a new direction and we’re optimistic about this new course. Innovation requires risk, and in our pursuit of a better overall die-cutting and embossing product line, we’re experiencing more significant challenges than we originally planned for, including some transition issues like the die inventory problems we experienced beginning in March. The challenges we are facing moving forward are not insurmountable, but they are taking time to resolve. Because of these setbacks, we will not offer a die-cutting & embossing machine in the 2019–2020 annual catalogue. We know this will create some challenges for you, and for that, we apologise. We want to make sure that what we offer supports demonstrators by being high quality, thoroughly considered and dependable product; we want to take the time to get it right for you and your customers rather than rush something to market. Our product development department is moving with responsible haste to work through this issue, and we will share more information as things are finalised. 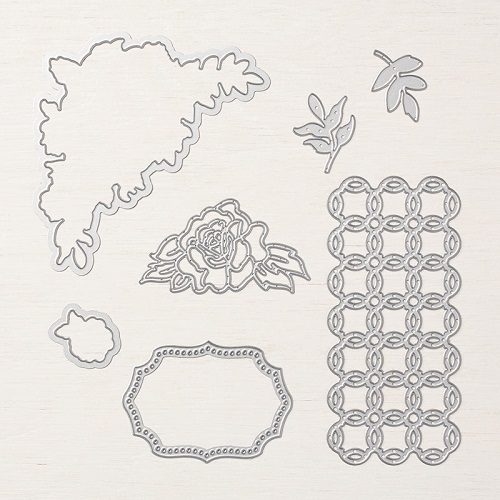 However, we will offer new dies and embossing folders in the 2019–2020 annual catalogue. Since we’re using a new supplier, the dies and folders will be manufactured differently; this means the way you use the new style of dies and folders will be a little different than how you used the old style. Both the new-style and old-style dies and embossing folders can work with any die-cutting & embossing machine (in some cases, adaptations like shims may be required because the gap between rollers on machines may vary slightly between manufacturers). Sadly, the above colours will be retiring at the end of the 2018-2019 Annual Catalogue period. Bye Bye Lemon Lime Twist, how I will miss you! I recommend stocking up as soon as possible on things such as Reinkers if you think you might like/need them as they usually go pretty fast as soon as the Retiring List is released. You can shop for all the 2017-2019 In Colour products here. Wow! Big news, right? It’s sad to say goodbye but it is interesting to think about what might be coming to replace them. Exciting times ahead! Hi everyone, I’m popping in to let you know the Gold Polka Dot Scrap Bin is available now. I actually have this and I LOVE it! I just had to let you know about it! It is a great size but you can also compact it for storage or to take it to crops. It’s a great price too at only $8!! It’s only available while supplies last. Limited-edition scrap bin that was designed exclusively to commemorate Stampin’ Up!’s anniversary in the South Pacific. 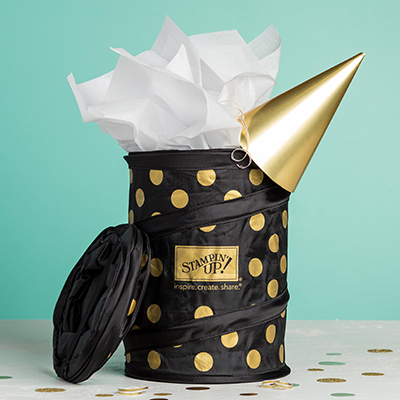 * Scrap bin is black with metallic gold polka dots and gold Stampin’ Up! logo. * Bin dimensions are 17.75 X 24.13 cm. Hi, uh oh! Stampin’ Up! has advised there are some dies which will most likely run out before the end of the 2019 Occasions catalogue period. They will not be restocked and therefore will no longer be available to order if they do sell out. If you any of these items are on your wish list, please consider placing your order for them sooner, rather than later, as I cannot confirm how long they will be available. 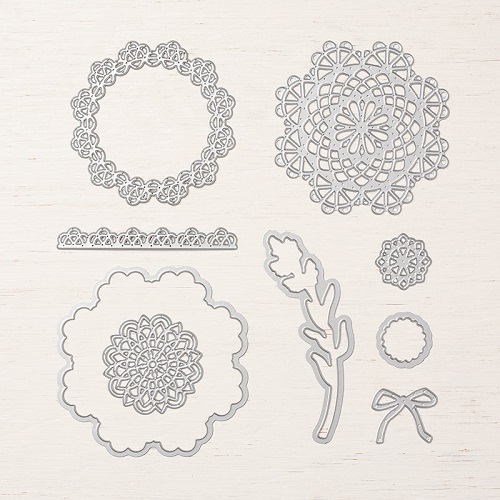 Create delicate die-cut doilies and flowers in record time with Thinlits dies and the Big Shot. ** Also available as a bundle. Hi, I have a little sad news regarding the Bunny Builder Punch. Sales for the Bunny Builder Punch (item 147039) have exceeded Stampin’ Up!’s forecast and supplies are limited. Although not currently on backorder, they expect to deplete their inventory of this product within the next two weeks; it will no longer be orderable once inventory is depleted. 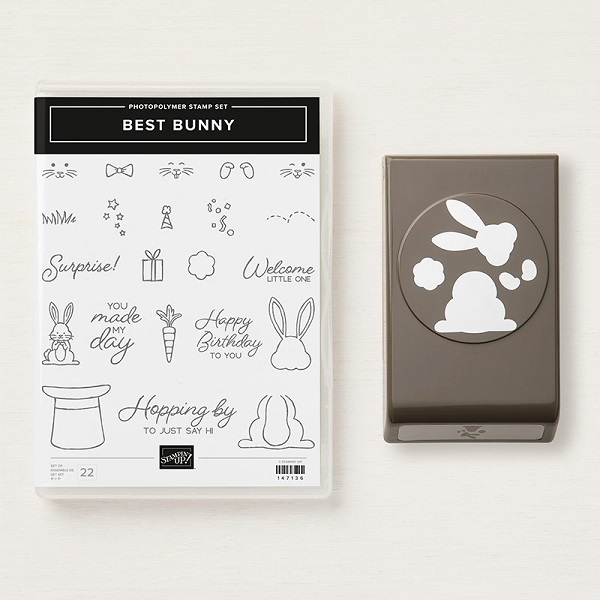 The Punch can be purchased on its own or as part of a bundle with the Best Bunny stamp set. So fun for Easter projects. So, if you are KEEN to get your hands on this super cute punch, time is running out! It will not last long, so please don’t delay if you think you might want (need) it! 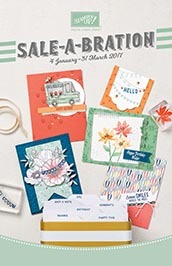 Sale-A-Bration is one of the biggest and most fun times of the Stampin’ Up! year with lots of new products and the opportunity to get products for FREE!! Stampin’ Up! has just launched its Occasions catalogue which runs from 04 January 2017 to 31 Mary 2017. 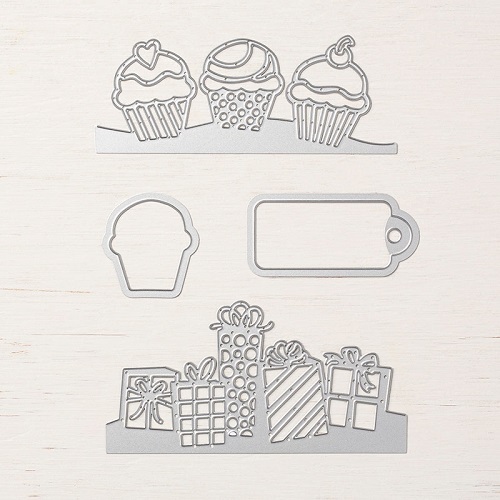 There are so many gorgeous new stamp sets and accessories which are sure to inspire you. All of the new items can be ordered now. There is an additional perk as the Sale-A-Bration catalogue has also just launched. Keep reading to see how this could benefit you. Here’s the deal: for every $90 AUD you spend (before shipping), you get a FREE Sale-A-Bration product. That means it’s the perfect time to purchase those products you’ve had your eye on while earning more products for free. Plus if you are planning to place a bigger order, there are other benefits you can receive. It’s definitely the best time to shop! If you are looking to place a bigger order, take a look at the benefits you could receive! 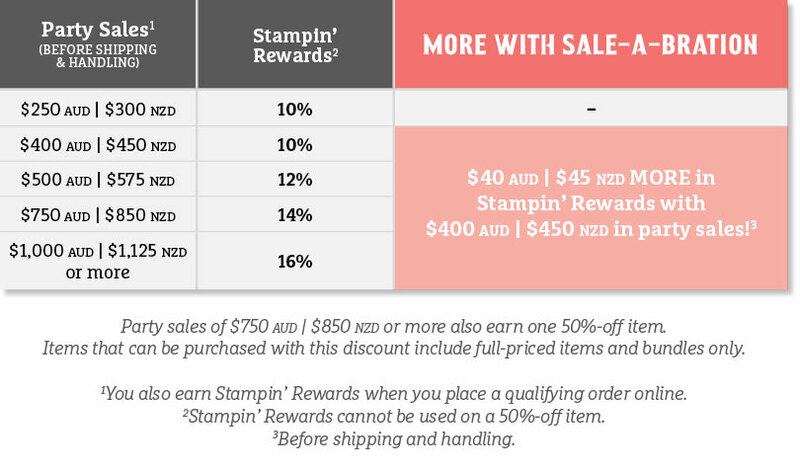 So if you have been thinking about ordering, or joining Stampin’ Up! now is definitely the best time to do so! Please visit my online store at www.stampersworkshop.stampinup.net. Thanks for stopping by today. 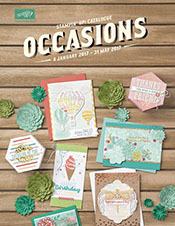 Check back soon for some card samples using the new Cool Treats suite from the Occasions catalogue. 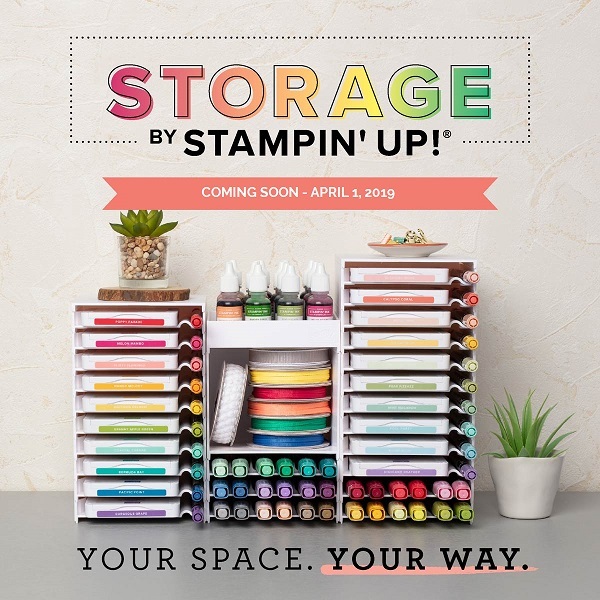 Welcome to the all new Stampers Workshop! Thanks for stopping by today! Check back soon for the all new Stampers Workshop website!